In a few weeks, September 8, 2015 will mark the seventy-forth anniversary of the beginning of the Siege of Leningrad. On that day, the German forces that had sped across Russia since the June invasion, began to besiege Leningrad, held back by the fortifications which had been constructed by the city’s men, women and children throughout the summer. 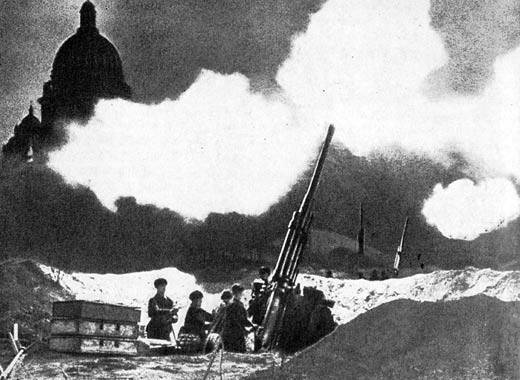 When the September attack began, Leningrad was defended by 200,000 Red Army troops. The German aerial bombardment concentrated on destroying warehouses that contained a significant proportion of the food supply for Leningrad, before cutting off the highway and rail links to the city. Creating this physical noose around Leningrad was an operation completed by November 1941; the only way for supplies to enter Leningrad was across Lake Ladoga. These were the first months of the 900-Day Siege (in fact, 872 days), an operation which resulted in the deaths of more than a million Soviet civilians and Red Army troops. Supplies were so scarce that by December 1941, the bread ration was reduced to 125 grams per day. 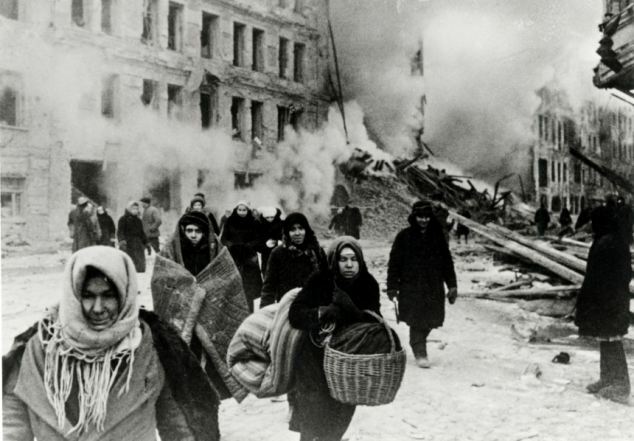 Starving, freezing, and subjected to daily German artillery and air attacks, there were more than 2 million civilians in Leningrad (the pre-war population was 3 million, but many were evacuated to safety before the siege, only to be replaced by refugees who, fleeing the onslaught of Operation Barbarossa, had sought safety in Leningrad after the June invasion), who would endure desperate conditions until January 1944. Shostakovich remained in Leningrad after many other artists were evacuated in August, and he only left when ordered to by the local Party HQ. 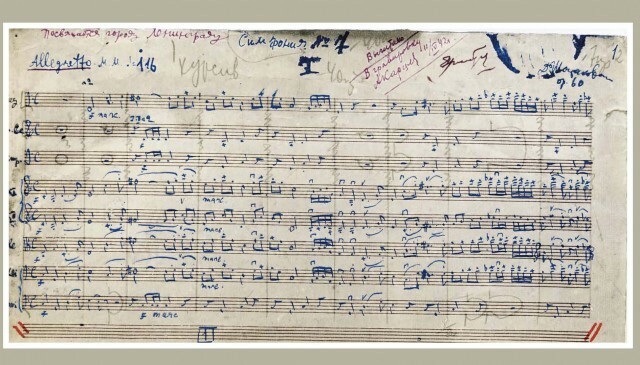 On 1 October 1941, he and his wife and children flew to Moscow, Shostakovich carrying with him the scores of Lady Macbeth and Seventh Symphony, as well as Stravinsky’s Symphony of Psalms. At this point he had completed two movements of the Symphony, but the rest of its composition was to be disrupted. Shostakovich and his family initially stayed at the Hotel Moscow when they arrived in the Soviet capital, and he was requested to participate in many interviews, which made much of the fact that in the face of warfare, siege, and destruction, the composer had been creating new music. Then, Shostakovich and his family were evacuated again, this time on a seven-day rail journey to Kuybishev. The other passengers included Kabalevsky, Kachaturyan, and Gliere. At one point during the chaotic, overcrowded journey, Shostakovich thought that he had lost the score of his Symphony. In Kuybishev, his family were given one room as lodgings, and special arrangements were made for him to have a piano. Whilst they were much better off than many others, and Shostakovich initially felt that he was in a safe ‘Paradise’, he soon realised that one room was ‘terribly inconvenient for working; the children are noisy and intrude. They need to make noise, they’re children, after all, but unfortunately it makes it impossible for me to work.’ There were other distractions: the composer’s mother and sister were still in Leningrad, and making arrangements for their evacuation was difficult when Shostakovich’s many contacts were widely scattered. He announced, almost shyly, on 27 December, that the Symphony was finished.There were many doubts about the Symphony in official quarters; its finale many thought insufficiently triumphant. The Committee for Artistic Affairs wanted a choral finale, a paean to Stalin, but Shostakovich remained firm, and also resisted an impulse to giving each movement a programmatic title: ‘War’, ‘Memories’, ‘The Country’s Wide Expanses’ and ‘Victory’. The Seventh Symphony had several important premières. The first was in Kuybishev on 5 March 1942, shortly after Shostakovich’s mother and sister were finally evacuated from Leningrad. Despite the huge demands made by the length and instrumentation of the Symphony, it instantly became, as Laurel E. Fay puts it, a ‘potent national – and even international – symbol of just cause and steely resolve in the war against fascism. It anchored itself on the popular consciousness as an instantaneous cultural icon, something totally unprecedented for a serious symphonic work.’ As the composer himself wrote for Pravda, he was part of the fight in the ‘historical confrontation now taking place between reason and obscurantism, between culture and barbarity, between light and darkness … I dedicate my Seventh Symphony to our struggle with fascism, to our coming victory over the enemy, and to my native city, Leningrad.’ The Moscow première took place on 20 March 1942, and on 22 June 1942 Henry Wood conducted the London Symphony in a broadcast of the Symphony. On 29 June, he gave the London concert première at a Proms concert in the Royal Albert Hall. The Leningrad première is a story in itself. On Friday 31 July 2015, I heard Shostakovich’s Seventh Symphony for the first time in concert, again at a Proms concert. This time it was the BBC Symphony Orchestra, conducted by Semyon Bychkov, who is a native of St Petersburg. This augured well, or increased my confidence in the performance: in the past I have heard several crushingly flat performances of Russian works at the Proms, including a Firebird a few years ago from one of the BBC orchestras which was so lacking in electricity or physical energy that the floor began to feel soggy beneath my feet. Friday night was different. Every year it takes a few moments to adjust to how orchestras sound in the Royal Albert Hall, especially the upper strings, for whom the acoustic is least forgiving (for me, at least, viola sections often seem to sound magnificent there) and no matter how sharp their attack, there’s a soupy quality to the sound. After a while, one gets used to it. On Friday Bychkov more than compensated for the blurriness of the hall with concise sharpness of direction, and attention to small details; for me, the orchestra became better and better. The decision to hide the side-drum player within the orchestra – he was completely invisible from the arena – was inspired, making the insidious character of the ‘invasion music’ more hair-raising still. If this movement is more about the Stalin-menace than the German attack, the emergence of the side-drum motif from the midst of the orchestra was an effective means of expressing an internal, oppressive menace. In the Seventh Symphony, there is very little question of rising and marching, even shakily. There’s definitely helplessness, in the face of an irrevocable and terrifying force. Perhaps the hot and crowded conditions that prevail in the Arena of the RAH are an ideal place to experience this music: caught in the middle of the crowd, there’s no easy way to escape the onslaught, trapped in a sea of bodies, whilst the musical waves break you. There is a scene in the film Taking Sides in which Major Arnold (Harvey Keitel) is interrogating Furtwängler (Stellan Skarsgård) with such vile intensity that the secretary-typist in the room clamps her hands over her ears to make the horror stop. This scene stuck with me, and in certain situations it pops back into my mind. Friday’s concert was one of these time, not because I wanted to make the music stop or because it was vile, but because this is music that uses every means to make the listener feel trapped, desperate and helpless. In 1,500 words, I have not said much about the other movements of the Symphony. Several other ideas affected me particularly: those times where Shostakovich so ably reproduced the sounds of artillery, especially the sickening scream of the Katyusha rocket. Then there are the confident moments of major-key joy, where the composer repeatedly takes us all the way to the seventh degree of the scale, but prevents resolution, a subtle yet telling evasion. As I’ve said, the BBC Symphony became better and better as they played went on, demonstrating energy and strength which matched the minute attention to detail of Bychkov. However equivocal the ‘triumphant’ conclusion of Shostakovich’s Symphony may be, there was nothing equivocal about this orchestra and conductor’s triumphant musical commitment to their work.